This is a comprehensive Ethical Hacking (security penetration testing) hands-on boot camp! In this 3-day course you will get the training and experience you need to successfully launch your ethical hacking career. You will participate in live discussions, demos, whiteboard instruction and lab exercises. No prior experience is needed. 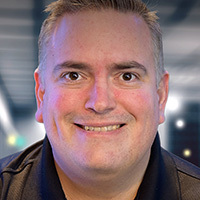 Omar Santos, best-selling security author, speaker and Principal Engineer in the Cisco Product Security Incident Response Team (PSIRT) within Cisco's Security Research and Operations will walk you through numerous exercises and ethical hacking concepts. If you are starting your cyber career, seeking your Certified Ethical Hacking, CompTIA PenTest+, or Offensive Security Certified Professional (OSCP) Certification, or are just interested in learning more about cyber security, this three-day training session is for you! This course provides step-by-step real-life scenarios. It starts by going over passive and active recon, then dives deep into scanning, target exploitation, password attacks, web application testing, buffer overflows, wired and wireless network hacking, and post-exploitation techniques. You will use dozens of different tools that can be used to penetrate a wired and wireless network and the systems within that network. In this training we will go over several tools like the social engineering tool kit (SET), Metasploit, Maltego, and many more. After that you’ll different best practices on how to write a penetration testing report. You are preparing for the Certified Ethical Hacker (CEH), CEH Practical, CompTIA PenTest+, or Offensive Security Certified Professional (OSCP) certifications. You are interested in cybersecurity and penetration testing (ethical hacking). Course participants should have a basic understanding of cybersecurity and networking concepts. An introduction to ethical hacking and penetration testing methodologies. Instructions to build your own lab and training logistics. Introduction to Authentication and Authorization in modern applications.